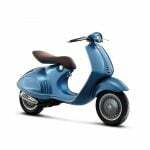 In 1966, Vespa’s latest model, the Super Sprint 90, combined a small, lightweight body, with a 125cc engine. 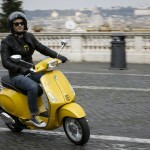 At the time, it was Vespa’s premier sporty and athletic model. 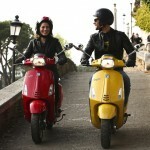 Today, Vespa is bringing the Sprint name back with two new models, the Sprint 125 and Sprint 50. 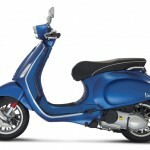 As it did in the 60s, both new Sprint models now represent the sporty and “dynamic” range of the Vespa lineup. 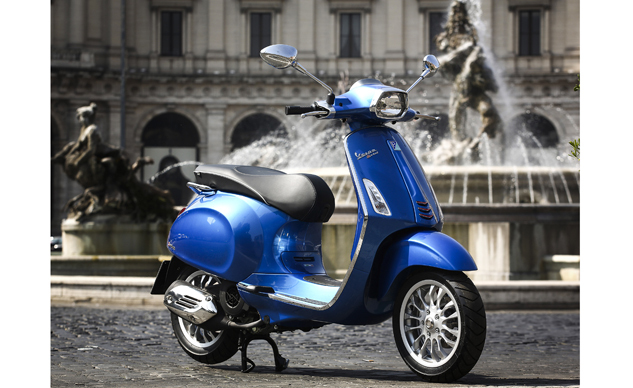 Inspired by the design cues of the Primavera and Sprints of the past, the latest version replaces the Vespa S and offers numerous styling touches that set it apart from other scooters, while maintaining the classic Vespa look. 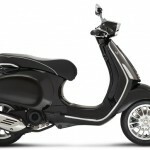 The saddle is enhanced by a strictly black covering with a white line finish, a tribute to Vespa sport saddles. The fold-away bag hook is still at the end, contributing to increasing the cargo capacity. 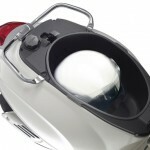 Also, the 4.4 gallon helmet compartment can easily accommodate a full face helmet thanks to the space created by moving the battery into the central tunnel of the footrest. 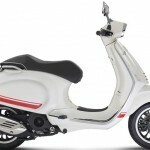 The square-shaped passenger handgrip is also new, which, along with the placement of the footrest, ensures plenty of room for the pillion as a comfortable riding position for the pilot. The instrument panel is protected by a hint of a spoiler, and has a new black background for the speedometer. The multifunction digital display now has aggressive red backlighting, while the same color scheme is applied in the new finish of the “neck-tie” on the shield. The experience gained in the 946 project, can also be seen in the shape of the new rear-view mirrors. 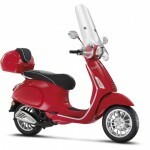 The headlight has the typical rectangular shape of sporty Vespas and features LED running lights in front. The rear brake light is also LED. 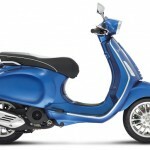 However, the most characteristic element on the Vespa Sprint are its beautiful 12 inch, aluminium alloy wheel rims. 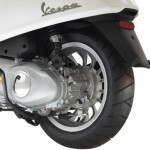 This is the first time that such diameter wheels and large tires are mounted on a Vespa “small body”, similar to the ones on the GTS series Vespas. 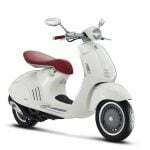 The Sprint receives numerous functional upgrades, including a strengthened chassis, increased engine mounting points for rigidity, a redesigned front suspension system, and a choice of three different engines. 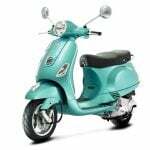 The gem in the lineup is a three-valve, four-stroke 125cc engine, which Vespa engineers are said to have spent countless hours making more efficient than its predecessor. 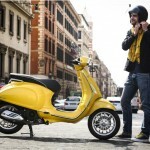 The result is an engine that burns very cleanly and returns excellent gas mileage, according to Vespa. 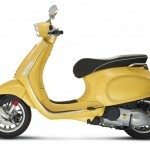 It also weighs less than its two-valve predecessor. 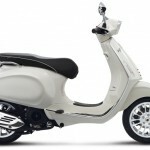 Of the two 50cc engines, one is two-stroke, the other four-stroke. 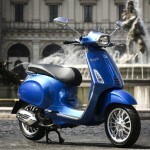 Vespa claims the latter is the most powerful four-stroke 50cc engine in production, making just over four horses. 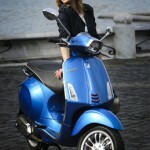 No word yet as to which models will be coming stateside, but it’s a safe bet to expect the 125 model here. 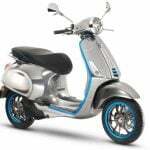 The four-stroke 50 is a possibility, but with our strict emission laws, the two-stroke 50 will likely stay on the other side of the Atlantic. Pricing information has not been released as of this posting. 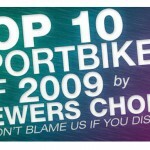 Keep it here for more information when we get it.